Two weeks from today, we will be getting ready to celebrate Easter with the loves of my life-my family. 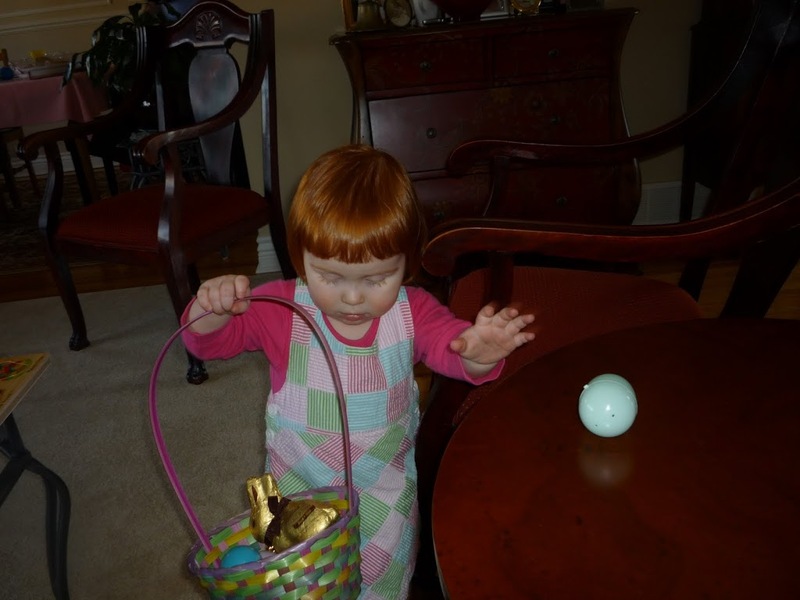 My daughter and her family will be arriving from Hamilton the Friday before Easter. My son and his partner are planning to join the festivities on Sunday-Easter Sunday! 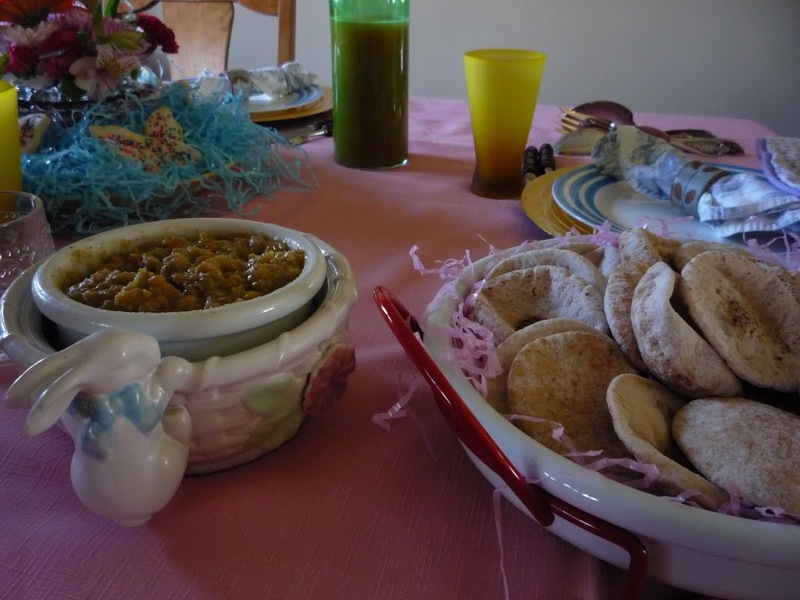 For us, Easter is about tradition and family celebration rather than religion. The Easter Bunny pays a visit to our home and leaves all sorts of goodies in exchange for some organic carrots left out for him-or is it her? We have an Easter egg hunt (with plastic eggs of course) and there is a basket for each of the little grand-chiblets. 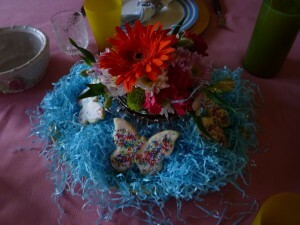 There are edible and non-edible goodies nestled in the Easter Straw in the baskets. It is so much fun to see and feel the excitement of the little ones. 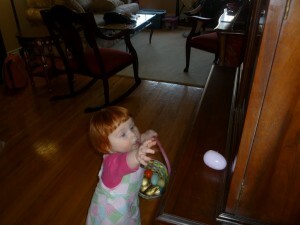 The adults try to help the children find the eggs by giving clues about where the Easter Bunny might hide such a thing. That is, if the adults can remember exactly where the Easter Bunny has hidden the eggs LOL! We try to put them in easy places, for us as well as for the children. As far as I know, the Easter Bunny and all other bunnies, rabbits and hares are herbivorous. And yet, our North American Easter tradition is surrounded with carnivorous images, foods and the like. Ham and Lamb are favourites at Easter. They can be found on tables laden with bacon, sausage, potato dishes filled with dairy butter and cow’s milk, buttered veggies and many desserts made with chickens” eggs. Even the Easter Bunny brings cow’s milk chocolate eggs to eat after he hides the hardboiled chickens’ eggs that have been so lovingly painted and decorated by the children. Now, as I said, we use plastic eggs instead of chickens’ eggs and until very recently never thought much about it. But now, the irony of it is not lost on me. As a vegan, should I really be supporting the use of eggs (real or plastic or wood) in this manner? This is where the slope gets a bit slippery for me. I don’t want to participate in traditions that support nonhuman animal abuse industries, but yet don’t want to harm our cause by looking ridiculous for over focusing on things that are not all that important in the grand scheme of things. After all Easter, in the religious sense, is about re-birth and chickens’ eggs are about birth. So perhaps it is okay to use the man made representatives of this birth and celebration of life. 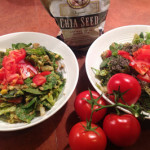 long before my daughter and I became vegan That is not to say, the meals were meat, dairy or egg free, because they were not. But that was then and this is now. Most of us enjoy the fondue (now cruelty free-tofu, veggies. veggie broth, sauces, rice) that we like to have on Xmas Eve. Even that can be changed if the situation calls for it. This past Xmas we decided that going out for lunch on Xmas Eve would be more fun than spending the day in the kitchen prepping and cooking. We decided that we would buy some prepared dishes instead. That led to a fun shopping trip that ended up being a bust. We could not find the prepared foods we were looking for, so we ended up having the fondue anyway. Every one helped with the prep and a good time was had by all. And that was our family tradition for Xmas Eve 2013. Who knows what this Xmas will bring. I guess what I am trying to say is that our family tradition is constantly evolving and is really, in essence, about being together. Now that the main cook and bottle washer (that would be me) is vegan, our food traditions revolve around cruelty free meals. Not all of my family is vegan, but they all respect my beliefs and hopefully enjoy the food that I prepare for them. One of my first forays into a cruelty free celebration happened four years ago at Easter time. 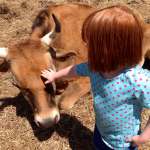 I know this because my daughter wrote a post about it in her blog, THE BUSY HAPPY VEGAN I am surprised at the “four years ago” bit because I know that I have not been vegan that long. Here are some pictures that show it can be done and can be delicious as well as fun. : the handing down of information, beliefs, and customs by word of mouth or by example from one generation to another without written instruction. This definition fits in well with one of the reasons non vegans give for justifying supporting nonhuman animal abuse industries. It is traditional, they say, to think of and to use nonhuman animals as food at special occasions and every day. It is the way we have always done it. It is what Xmas and Easter (you fill in the blank with your special occasion) are about. I believe that tradition is about celebration of family, of kindness, of compassion ,of inclusion. This is the legacy we can pass on to our children and their children. The choices we make today and every day will make the difference, first and foremost for the nonhuman animals of this world and by association, for us.